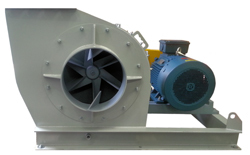 Aerovent Australia manufacture a range of pre-engineered fans specifically designed for the Dust Collector market. 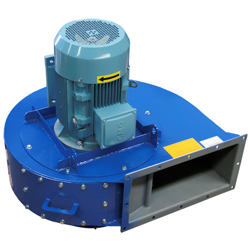 Featuring a compact design and heavy duty construction for trouble free service, these fans are available in arrangement 4 for pedestal/floor mount or arrangement 4F for inlet flange mount applications. In addition to the pre-engineered Nickel Series, Aerovent Australia can also design and manufacture purpose built SWSI centrifugal fans to suit specific Dust Collector applications. Available in belt or direct drive arrangements, these fans are made to the highest quality standard with a heavy duty design for peace-of-mind and trouble free service. 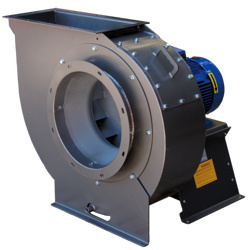 Designed to suit a specific application, these fans are available with multiple options. 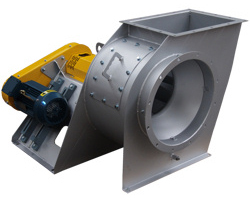 Aerovent Australia can design and manufacture radial type centrifugal fans to suit almost every Dust Collector application requiring the movement of dirty air. Special attention is paid to the radial impeller design so that contaminants cannot build-up preventing excessive vibration and the potential of fan failure. Fans for Dust collectors have a heavy duty construction and can incorporate replaceable wear surfaces for prolonged service life. Many design and material options are available to suit almost every materials handling application.